By Bay Area Bird HospitalOctober 24, 2017Feathers, Furs, and Scales! 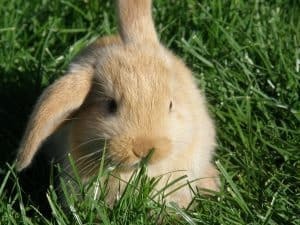 Lop eared rabbits are really prone to ear infections – but why? What is going on with these ears? Otitis external, otitis media and otitis interns – the external ear, the middle ear and the inner ear. This discussion is all about the external or outer ear. In fact, it’s the only part of the ear we can see without more advanced testing. The outer ear consists of the pinna and the ear canal. It stops at the eardrum, or tympanic membrane. The middle ear is just on the other side of that thin structure…and hopefully we can’t see into it during a regular ear exam. That would mean your eardrum was ruptured (ouch!). In many species the ear canal is broken into two parts – the vertical canal and the horizontal canal. Mainly because part goes up and down while the other is oriented sideways. This doesn’t hold true in rabbits. It’s basically just a slant down to the eardrum. 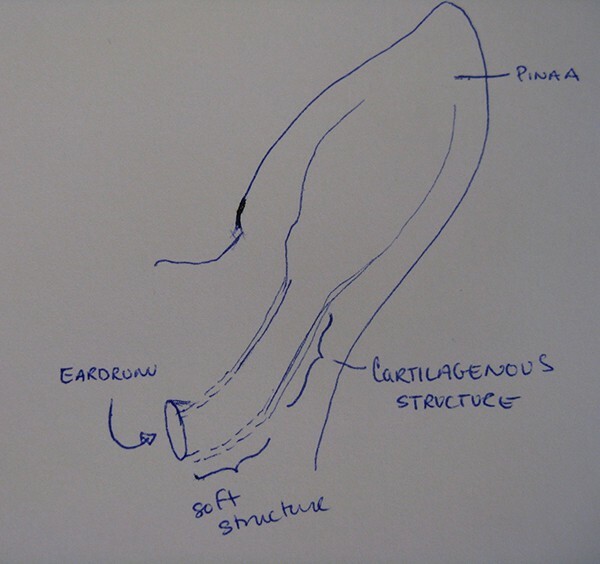 In standard rabbits this canal has cartilage which allows it to maintain its shape – just like in our ears and nose- it’s bendy but holds shape. In lops, there is cartilage in the outer portion of the canal, but not the inner…so the ear flops over. Keep in mind that ear canals are designed to help material and debris exit the ear by moving things up and out. Imagine what happens when material starting at the eardrum try’s to get out of a lops’ ear…it hits that right angle bend and comes to a halt. …debris builds up, bacteria or yeasts get stuck, maybe things get a little moist…and you get an infection. Sometimes this infection starts in the middle ear and bursts through the ear drum to extend into the outer ear. Sometimes the reverse happens. But we can’t see the ear drum once debris or infection has set up shop. In order to find out more we can try to flush and clean the ear canal under anesthesia or image it using CT scans. X-rays of the skull can provide us with some info but a CT really gives you a great view of what is going on. Now I know that a CT scan for your bunny may be out of reach financially. But I look forward to when they become cheaper and more common. Already there are researchers studying how to take awake CT scans. This helps both your pocketbook and your bunny since no matter how hard we try to minimize it…there is always some health risks with anesthesia. The answer is not clear but the more we look into it, the better our chance of figuring this out. Right now, there is some thought that prophylactic ear cleaning may be helpful. Products containing tris-EDTA are a good choice. Please be careful what you put in your bun’s ears and check with your rabbit vet. I’ve heard of stories of folks putting bleach in animal ears and I’m sure they wouldn’t have done so if they knew just what pain and damage they were causing. Positive Identification of Exotic Newcastle Disease – what does it mean for your birds? © 2018 Bay Area Bird Hospital. Proudly Designed & Managed by ViziSites.